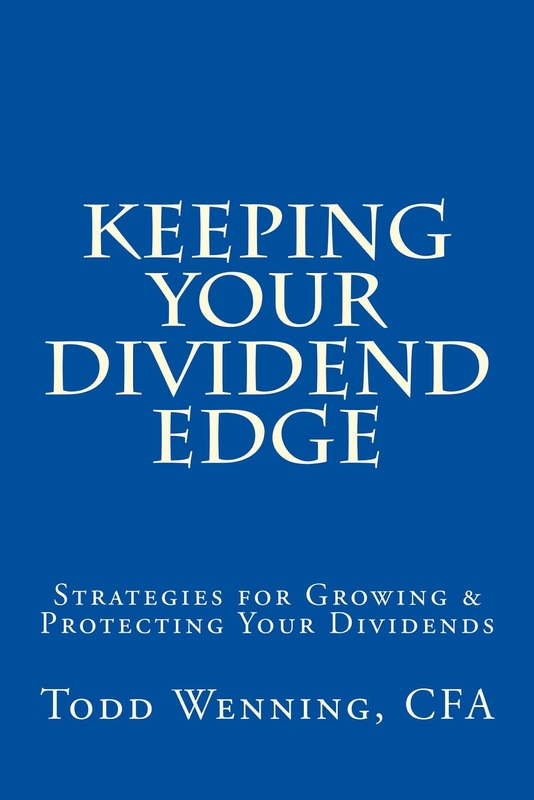 I'm happy to announce the publication of my first book: Keeping Your Dividend Edge: Strategies for Growing & Protecting Your Dividends, now available on Amazon in paperback and in the Kindle eBook format. 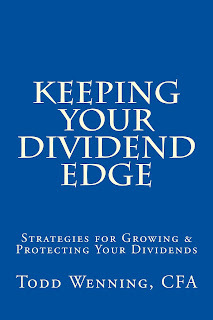 Writing a book on dividend investing has been on my mind for several years. This autumn, I finally put pen to paper to address the changing dividend landscape that I've observed -- e.g. the impact of share repurchases, lingering impacts from the financial crisis, increasing global competition, etc. -- and how individual investors might chart a course for long-term success despite these new challenges. I also wanted the book to be punchy and practical -- something you can read in one sitting with lessons you can immediately apply to your investment process. I hope you enjoy the book. For compliance reasons, I've disabled comments at the bottom of this page, but I would love to hear your thoughts by email. I also encourage you to share your review of the book on the Amazon page.